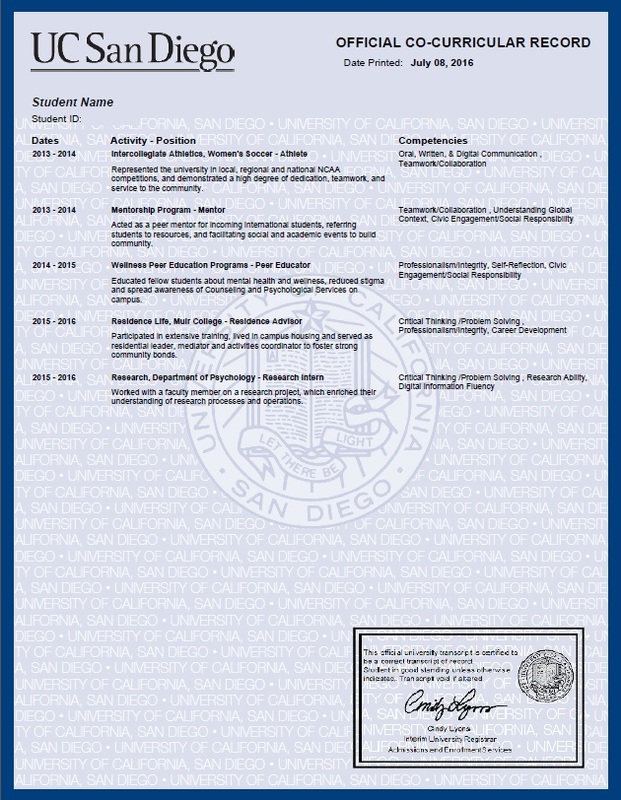 The UC San Diego Co-Curricular Record highlights student involvement and achievements in opportunities beyond the classroom including the skills and competencies developed. 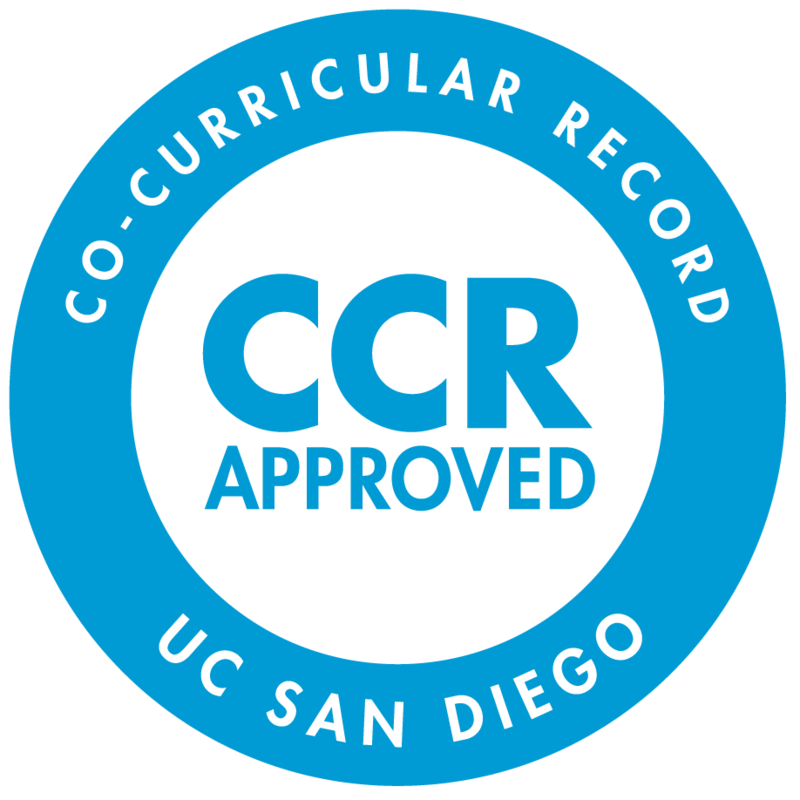 Your official validated CCR is printed with your transcript and has the UC San Diego seal.You can use your record to help demonstrate to employers, graduate/professional programs, and for awards the competencies and skills you gained through your experience. You can either attach your official CCR to applications, or use your unofficial CCR as a tool to help you reflect on and articulate your experiences on your cover letter, resume, applications and in your interviews. Which UC San Diego opportunities are included on the CCR? Log in here if you are a UC San Diego student using your Single Sign-on (SSO) . Log in here if you are UC San Diego faculty or staff using your Single Sign-on (SSO). Log in here if you are administrative staff for this site using your local credentials.